In a world with 7 billion mouths to feed, it’s women who plant gardens and operate farms, who keep the global food supply humming. 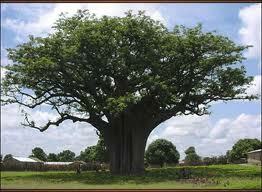 But, the financial return on those efforts is often meager. For example, women account for 75 percent of the agricultural producers in sub-Saharan Africa, but the majority of women farmers and their families are living on only $1.25 per day, according to researchers with the Worldwatch Institute. “The lack of access to information technology and the inability to connect rural enterprises to banks can prevent women from obtaining vital financial services,” said Danielle Nierenberg, director of the Institute’s Nourishing the Planet project, a two-year evaluation of environmentally sustainable agricultural innovations to alleviate hunger. ﻿Worldwatch researchers traveled to 25 countries across sub-Saharan Africa to meet with more than 350 farmers groups, NGOs, government agencies, and scientists, highlighting innovations, such as better extension advisory services and communication technology, that are helping farmers improve their livelihoods. 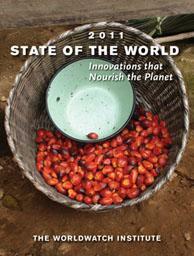 The findings are laid out in the new report — State of the World 2011: Innovations that Nourish the Planet. Researchers found that in Africa’s Western Sahel, the production of shea butter is boosting women’s entry into global markets. Women-run cooperatives across the region are tapping into the global demand for fair trade and organic beauty products by selling the nut fat they produce from shea trees to cosmetics firms like L’Oréal, the Body Shop and U.S. pharmaceuticals companies that pay fair prices for the commodity. 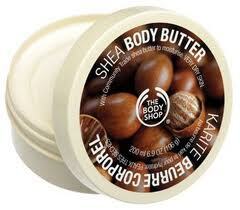 Their success is largely due to increased demand in the developed world for shea butter, the vitamin E-rich cream with the appearance of whipped butter and the smell of the savannah, that is extracted during a three-day, 25-stage process. 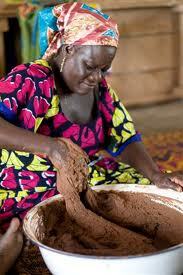 Ghana alone will produce 250,000 tons this year, mostly for export and mostly produced by women. The world market price per metric ton of raw shea nuts is $190, crude butter sells for $450 dollars and refined butter for $900. ﻿ The growing world demand for sustainable beauty products has caused a sea change in the economic prospects and lifestyle of the members of the women’s shea nut co-operative in the villages of northern Ghana, many of them widows living on the margins of the region’s patriarchal society. The report “Nourishing the Planet” highlights the four innovations the women’s shea nut cooperative have found that can strengthen women’s agricultural capacity: microfinance credit, access to the global market, farm advisor services and organizational support to women’s projects. Globally, women make up the bulk farmers yet they fall well short of receiving the same financial benefits and opportunities as men. Only 10 percent of the credit services available in sub-Saharan Africa , including small “microfinance” loans, are extended to women. The New York-based nonprofit Women’s World Banking is the only microfinance network focused explicitly on women, providing loans of as little as $100 to help women start businesses. Microfinance institutions from 27 countries provide the loans to women who in many cases have no other way to access credit. In Uganda , agricultural extension workers have introduced women’s groups to “coolbot” technology-solar energy and an inverter-that can be used in traditional reed, mud and thatch shops to reduce temperatures and prolong the shelf-life of vegetables. With a large percentage of women worldwide still lacking necessary services, it is time that policymakers include women, respect what they know, and stand beside them in pursuing the right to equality for all women. The ideas and technologies for the success of women are available, and development programs have the opportunity to thrive if they embrace the knowledge and skills of women farmers.